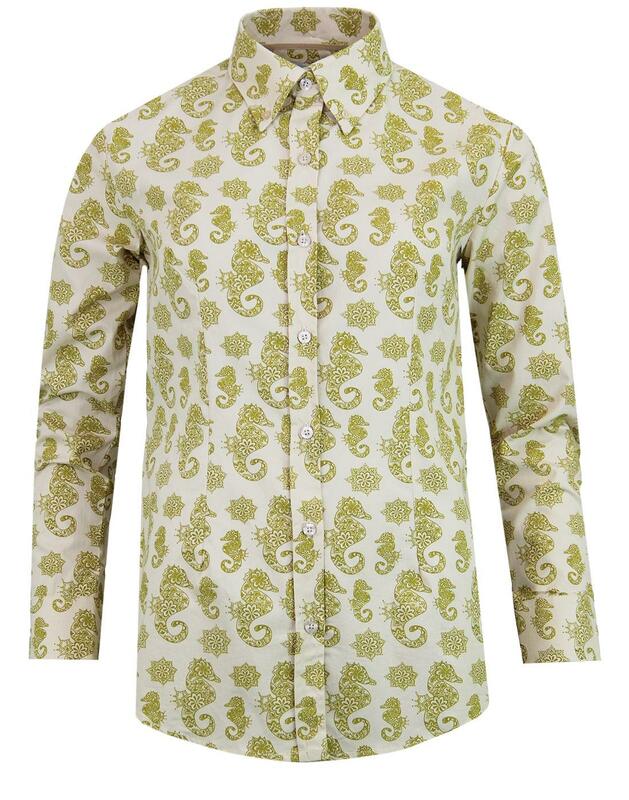 Madcap England 'Poseidon's Seahorse' Retro 1960s floral paisley shirt in cream and gold. Inspired by Eastern influences on 1960s fashion, the Vintage cream ground of this cute button down blouse is accompanied by a striking gold print. A herd of flamboyant Seahorses floating merrily amongst intricate floral stars conjure up images of 1960s Psychedelia, the era of Transcendental Meditation and the Summer of Love. Prevalent in myth, legend and art, the seahorse possesses an air of mystery and intrigue and the ones on this shirt add to the legend, capturing the imagination with kaleidoscopic patterns and mosaics of fab floral motifs! Take your seashorse for a stroll (or is that a canter?) on a warm summers day - by wearing the Madcap England 'Poseidon's Seahorse' shirt you can tell your own legendary tale! - Madcap England 'Poseidon's Seahorse' retro 60s seahorse star print shirt. - Floral paisley seahorse and star print in gold on cream ground. 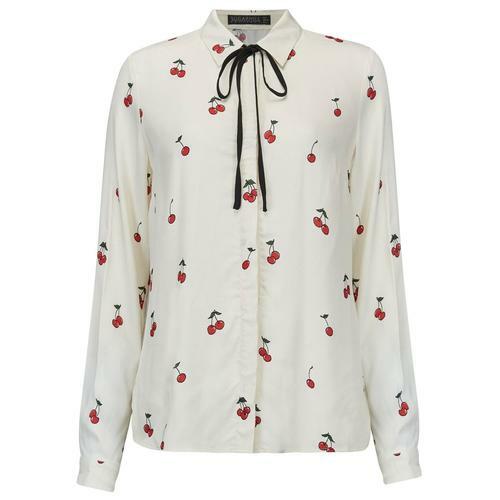 - Women's button through blouse. - Fitted silhouette with darts. 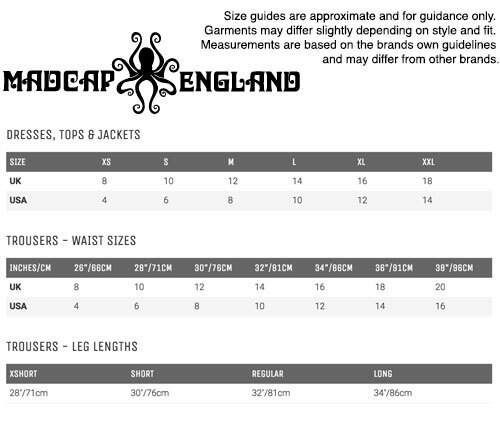 - Subtle Madcap England signature buttons. 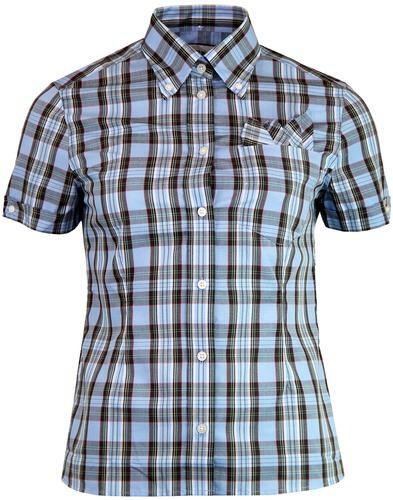 - SKU: MC370 Ladies Seahorse Shirt.